Low’s last album, 2013’s The Invisible Way, felt like the completion of a full circle. It marked roughly their 20th anniversary, with Alan Sparhawk and Mimi Parker complemented by their fourth bassist, Steve Garrington, and saw them veering closer to their formative style than they had in more than a decade. With its clear vocals and reverent pace, it recalled the period spanning 1994 debut I Could Live In Hope to 2001’s standout Things We Lost In The Fire. Producer Jeff Tweedy kept the arrangements spare and spiritual, and accentuated the prevailing sense of Midwestern, middle-aged familiarity. If Low had chosen to live out their career reprising and honing older sounds, like so many of their early ’90s peers do, few would have begrudged them the comfort. It’s hard to imagine it’s been an easy run: not least considering Sparhawk’s breakdown a decade ago, when he imagined himself to be an Antichrist figure straight from the pages of a Don DeLillo novel, but also the weight of inhabiting such diffuse, desolate music for so long. Sparhawk spoke last year about avoiding his old habit of spoiling anything that sounded beautiful, commenting that the songs he loved most on The Invisible Way and 2011’s C’mon were the “pretty and intimate” ones. He warned, however, that the new material they had been writing was “not pretty”. Recorded with BJ Burton at Justin Vernon’s April Base studios in Wisconsin, Ones And Sixes is as significant a volte-face as Low have made since 2004’s misanthropic rock epic The Great Destroyer into 2007’s brittle, barren Drums And Guns. The spectre of apocalypse has often lingered on the fringes of Low’s music. Their 11th record sounds as if the cataclysm has finally been, leaving a reeling dystopia in its wake. “Gentle” opens with frayed industrial drums and profoundly deep synthetic bass, the effect conjuring an army trudging across a snowy wilderness. You’d imagine Trent Reznor or Tim Hecker to have produced. Similarly, “The Innocents” shudders gravely as Parker intones, “All you innocents better run for it.” Throughout, she and Sparhawk seem to turn their regrets and sacrifices into warnings for those who can still run. Confusion reigns: hooked around whip-crack drums, “No Comprende” has Sparhawk malevolently intoning every syllable of a misunderstanding, before building to a grave guitar epic that recalls Grails’ baked-earth doom. Parker exposes the subtly undermining tricks of intimate fights on “Congregation”, with its flinty programmed percussion, and on “Spanish Translation”, a moment of violent clarity proves worse than ignorance. “All I thought I knew then/Blew out the back of my head/Into the river it bled,” sings Sparhawk, a reminder that, biblically, apocalypse is as much revelation as devastation. The song veers between spacey, distant verses and great lurching choruses; after the honeyed Invisible Way, the structures of Ones And Sixes sometimes feel jarring. The moments where everything comes together, though, stop the album from becoming too alienating for its own good. “Into You” is a transcendent hymn set to a dripping beat, slumping into each line as Parker describes the comfort and pain of long-term connection. The taut, Spoon-like “What Part Of Me” is a similarly ambiguous love song: “What part of me don’t you know/What part of me don’t you own?” Parker and Sparhawk sing together, either out of wonder or frustration. The record peaks with the astonishing, penultimate “Landslide”, 10 minutes of hard-edged riffs into mournful peace and then a thrilling swathe of crescendos that sound as if Sparhawk is yanking the strings from his guitar. It’s strange to hear the omnipresent darkness in Low’s work made so overt and cinematic, but refreshing, too. After two decades, a band that could easily feel like part of the wallpaper remain hungry to show that you never know what lies beneath. Ones And Sixes is a step away from zeros and fives. It’s an organised effort to create randomness and/or chaos. Where do you place your precious control to create something that is then out of your control? Once it was there, other references came: one to six was a scale once used to measure someone’s sexual preference, or the success of an internet page. I heard the number of the beast is actually 616, not 666. What prompted the dystopian electronic textures? We work in a certain direction for a few records then, when it feels like we have arrived with it or have answered a few questions, we tend to stab off into a different direction. The past few records have been an effort to shut down my ego and just let the songs do the work, but I can’t stand it any more. When I met BJ and heard some of the things he was doing, especially with hip-hop, I knew he was the right person for the task. He wants to push boundaries, and we were ready. Certainly the ongoing war and racial/economic violence present every reason to shout a little louder. Meanwhile, seems like marriage in rock’n’roll has taken some tough hits these past couple years. It’s hard to make a relationship work in any situation, but you have to try. Love still wins. Is there any significance to the record being released on 9/11? a little voice inside me whispered “Perfect”. 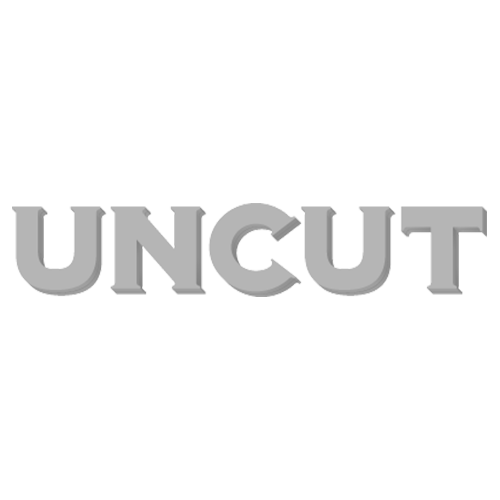 Meanwhile, the November 2015 issue of Uncut is now on sale in the UK – featuring Rod Stewart, Joanna Newsom, Julian Cope, Otis Redding, John Grant, The Doors, Harmonia, Linda Ronstadt, Dave Gahan, John Cooper Clarke and more.